Annapolis Royal, Nova Scotia – Experience our Community in Bloom! Spend Sunday exploring the Gardens and community on your own. Check back often, as the list of Sunday activities will be expanding as the date gets closer! 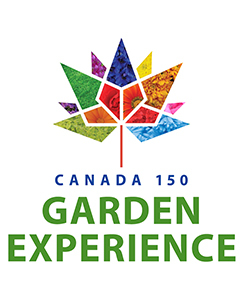 9am-8pm – Take some “me time” to soak up the beauty of the Annapolis Royal Historic Gardens. 11am – Narrative Guided Tour. This special guided tour of the Historic Gardens will provide valuable context around the Historic Gardens and the history of the community. 2pm-4pm – Music in the Gardens. Enjoy local music and fun under the shade of our giant weeping elm as you sip on a coffee or lemonade from the Elm Tree Cafe. Browse our shops, dine in one of our cafes, stroll the boardwalk and check out the new waterfront amphitheatre, visit our museums. In the evening, take part in Alan Melanson’s Candlelight Graveyard Tour, or catch a show at King’s Theatre. There is so much to see and do in Annapolis Royal. House & Garden Tour – Sneak Preview! Wine & Roses – Rain or Shine!